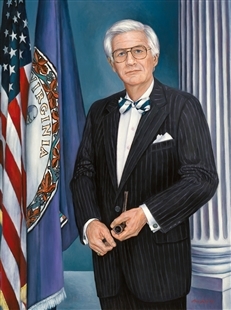 Wisconsin native Clement Zablocki looked to his district when he chose an artist for his Foreign Affairs Committee Chairman portrait. Robert Schuenke of Milwaukee was a former antiques dealer and portrait artist who had painted Zablocki’s wife some years before. 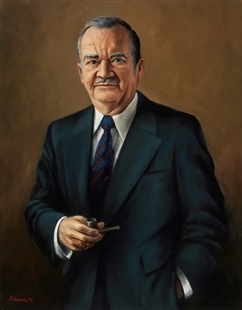 For his own portrait, the Chairman chose to pose with his trademark short-stemmed pipe and a dark blue suit.